Herbert Lee was a voting rights activist and martyr of the Mississippi civil rights movement. Lee was born on January 1, 1912, to Albert Lee, a farmer, and Elvira Turner Lee in Liberty, Mississippi. Although he possessed little formal education, his wife, Prince Melson Lee of Helena, Louisiana, taught him how to sign his name. He and Prince had nine children, and by the 1950s, he became a successful dairy farmer. As a businessman with no political rights in the state, Lee soon became involved in voting rights activities in Amite County. When his close friend E.W. Steptoe, a farmer and early activist, organized the Amite County branch of the NAACP in 1952 to register voters, Lee joined the organization, becoming a charter member. In the fall of 1961, Lee worked with Robert “Bob” Moses, a New York teacher and leader of SNCC, and drove him around to contact potential voters. He also provided transportation to SNCC activists in nearby McComb. Because of the growing civil rights activities in the area, Mississippi whites used intimidation, death threats, and harassment to deter African Americans as well as voting rights activists from outside the state from registering local blacks to vote. Lee, forty-nine, was one of the first blacks targeted by white terrorists in Amite County. On the morning of September 25, 1961, Lee arrived in Liberty, Mississippi, at the Westbrook Cotton Gin with a truckload of cotton. Mississippi State Representative E.H. Hurst, who had once before threatened to kill Lee and other blacks for attending voter registration classes, approached and cornered Lee on the side of his pickup truck. Several people watched Hurst take out his gun and shoot Lee in the head. Lee’s body remained on the ground until the sheriff, Daniel Jones, could arrange a coroner’s jury. Hurst claimed self-defense, arguing that Lee owed him money and proceeded to attack him with a tire iron. Black witnesses, including Louis Allen, were forced to give false testimony to corroborate Hurst’s story. As a result, the all-white jury ruled the murder a justifiable homicide. Hurst was never convicted and continued to serve in the Mississippi Legislature. 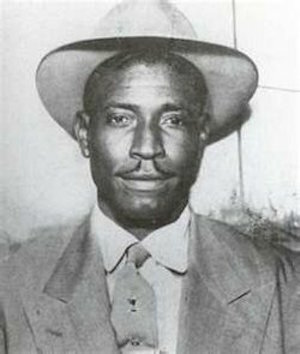 Louis Allen later informed federal investigators that he had been forced to lie to the jury in fear of his life. Not long after, Allen suffered harassment and beatings and, on January 31, 1964, he was gunned down in his driveway. Investigations since 1994 have suggested that sheriff Daniel Jones murdered Allen, but no arrests or prosecutions have been made for his murder. In 2010 Johnnie Powell, a black woman owner of the Cotton Gin Restaurant (formerly the Westbrook Cotton Gin), paid for a state historical marker to honor Herbert Lee at the site of his murder. Herbert Lee is buried at Mount Pilgrim Cemetery in Amite County. He is survived by his ninety-nine-year old widow. Jerry Mitchell, “Herbert Lee’s Killing Memorialized with Marker,” Clarion Ledger, Nov. 24, 2010; “Herbert Lee,” Civil Rights and Restorative Justice Project, Northeastern University School of Law, http://nuweb9.neu.edu/civilrights/herbert-lee/; “Herbert Lee Profile,” One Person One Vote Project, SNCC Legacy Project < http://onevotesncc.org/profile/herbert-lee/>; “Herbert Lee,” Mississippi Civil Rights Project<http://mscivilrightsproject.org/index.php?option=com_content&view=article&id=24:herbert-lee&Itemid=8>; 1920; Census Place: Police Jury Ward 1, St Helena, Louisiana, Ancestry.com.